behavior and cause others to assume the person must be healthy. 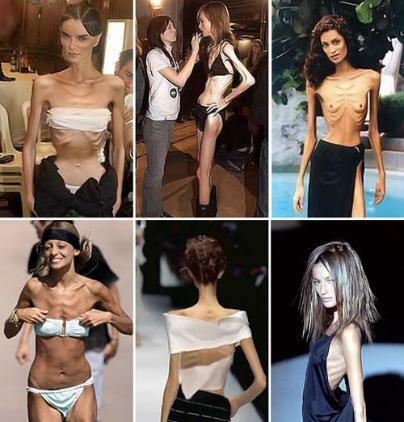 How many people suffer from anorexia nervosa? years of age have fit the diagnosis. How is the weight lost? consist almost completely of low-calorie vegetables like lettuce and carrots, or popcorn. What are the common signs of anorexia nervosa? with anorexia nervosa often complain of feeling cold (hypothermia) because their body temperature drops. They may develop lanugo (a term used to describe the fine hair on a new born) on their body. brain chemical found to be abnormal in patients with obsessive-compulsive disorder). mortality rates, killing up to six percent of its victims. beneficial to both patients and families. "being thin" that may glamorize such risk factors as dieting.